Everybody could be a Taxiwalker and get paid for it, but where is the meter? Is a fact and the device exist in Japan, what a great way to help people save money while you exercise, and it came as a mandate from the government, which is enforcing some sort of anti-obese law, so now some firms can get penalized if their employees between 40 to 74 years old gain some extra pounds. If waistlines for men exceed 83.75 centimeters (33.5 inches) and 88.50 centimeters (35.4 inches) for women, they are said to be suffering from the 'metabolic syndrome'. 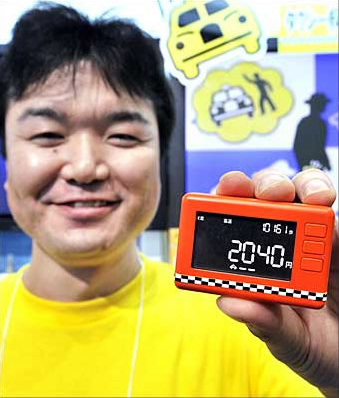 The companies in an effort to avoid penalization are encouraging employees to stop taking cabs and walk more by paying them per any mile traveled from home to work based on your "meter" information, and for this you will need a Taxiwalker meter, already available in Japan.